The Kentucky Derby is Decadent and Depraved Event homeCustomer reviews HamiltonThe PromNetworkTo Kill a MockingbirdKiss Me KateHadestownOklahoma! Why See The Kentucky Derby is Decadent and Depraved? A new staging of the satirical musical play! Based on the blistering gonzo journalism piece by Hunter S. Thompson, this raucous musical play gets its revival on the eve of the actual race! A celebration of the long-term partnership between Thompson and iconic illustrator Ralph Steadman, Chloe Webb's production is a stage adaptation of the 2012 concept album that originally starred actor Tim Robbins as the intrepid writer. With a full band playing the Dixieland brass, shivering strings and shrill woodwinds of the Deep South, lose yourself in this remarkable staging of the famous essay, that lampoons everything about the race day, from the traditions and the ghastly rich crowding the trackside. 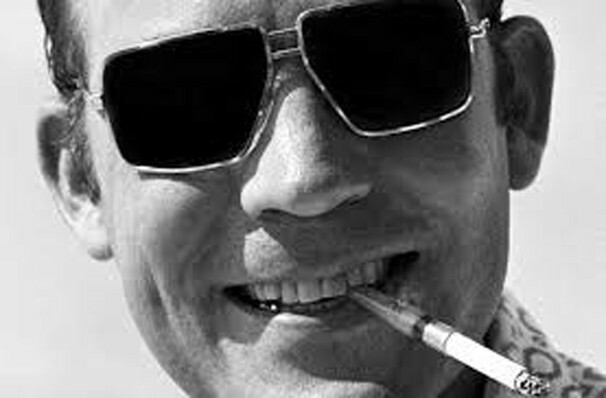 Originally written in 1970, Thompson's now iconic piece starts with the immortal lines "I got off the plane around midnight..." and sparked off the trend for gonzo journalism; that is, putting the reporter at the center of the story. Thompson's uniquely humorous and piercing insight into Southern largess and tradition inspired Michael Minzer to bring it to life in a definitive live stage show with the help of Hal Willner, who attracted a stellar group of musicians led by composer and arranger Bill Frisell. 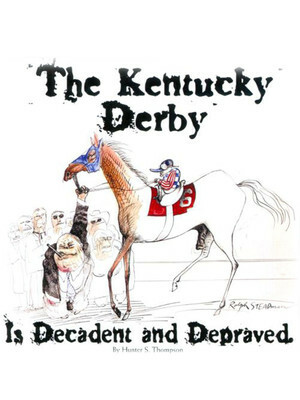 Seen The Kentucky Derby is Decadent and Depraved? Loved it? Hated it? Sound good to you? Share this page on social media and let your friends know about The Kentucky Derby is Decadent and Depraved at Town Hall Theater. Please note: The term Town Hall Theater and/or The Kentucky Derby is Decadent and Depraved as well as all associated graphics, logos, and/or other trademarks, tradenames or copyrights are the property of the Town Hall Theater and/or The Kentucky Derby is Decadent and Depraved and are used herein for factual descriptive purposes only. We are in no way associated with or authorized by the Town Hall Theater and/or The Kentucky Derby is Decadent and Depraved and neither that entity nor any of its affiliates have licensed or endorsed us to sell tickets, goods and or services in conjunction with their events.